In August 2014, we were able to register a monthly turnover of more than 1 million euros for the first time! This achievement was made possible through cooperation of all areas, most notably hotel and catering. We were thus able to welcome approx. 1,600 guests in July and 2,500 in August. With the cold season fast approaching, we must now focus primarily on corporate events and our spa. In terms of corporate events, we are constantly receiving bookings from renowned businesses and, aside from the "Reetscheune", we are now also using the "Peerstall" as our second conference area. The renowned marketing agency Mutabor (BMW, Audi, Tom Tailor etc.) had the pleasure of opening this second venue with us. 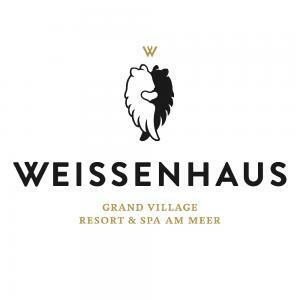 WEISSENHAUS has also played host to the corporate events of the Boston Consulting Group (BCG), Porsche, the Hamburger Sparkasse (Haspa), the Beerenberg Bank, the Otto Group and many more. Sylt1 TV gives following title to its report "Weissenhaus - The new jewel in the Baltic Sea"
We have already been presented with the Klocke publishing house award for "most beautiful hideaway in Germany" and have just been nominated for Top Hotel's "Top Opening Award". With this in mind, we are very excited about the upcoming months and will make sure you are all kept in the loop. Apart from the crowd's support that we gained with WEISSENHAUS, we are very pleased that crowdfunding is being considered as a serious source of financing for exciting projects and startups. WEISSENHAUS is mentioned by name in almost every specialist article or report on equity-based crowdfunding /crowdfunding trends and will hopefully inspire numerous copycats. We look forward to the next months!